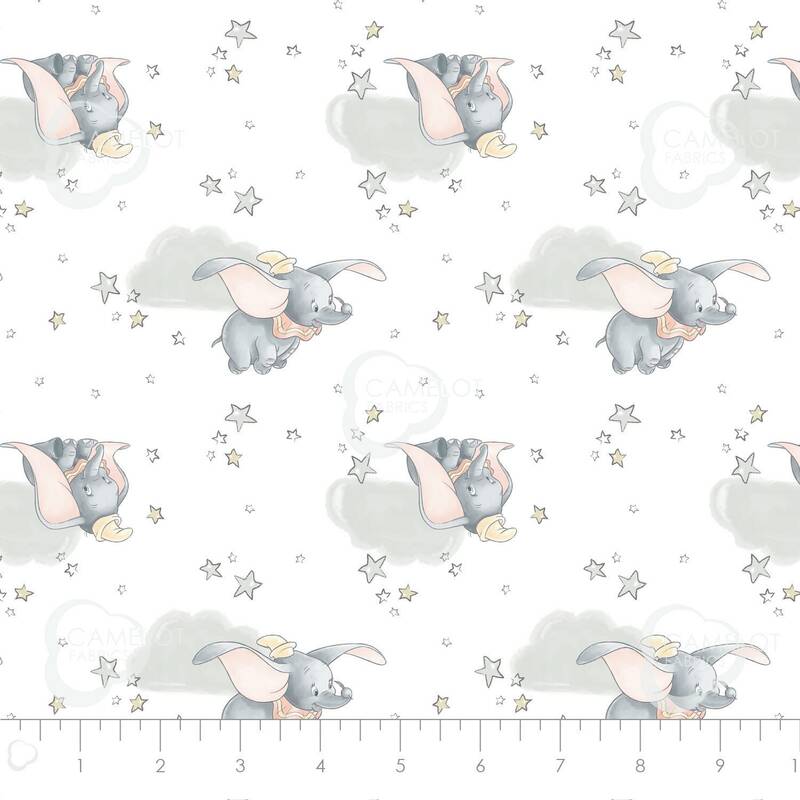 Baby Dumbo fabric approx 36"x44" From Disney Sentimental Collection by Camelot Fabric. This is newly released fabric and another winner! Adorable and timeless baby Dumbo fabric! See Dumbo flying in the Stars! The fabric measures appx 36"x44". If you purchase more than one yard it will be shipped in one continuous piece.